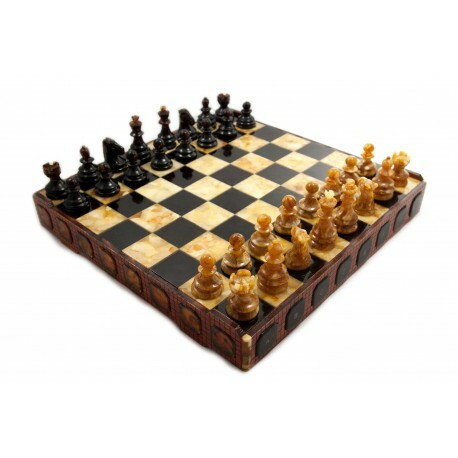 Yellow, brown and black amber chess. 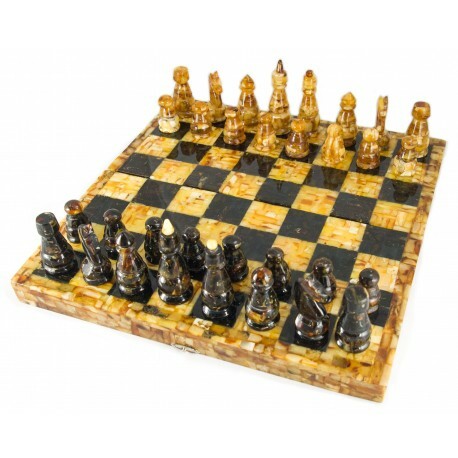 These yellow and dark cherry-color amber chess were made in 2010 in order to note the 150th -year anniversary of the amber mining beginning (1860-2010, the village of Pempės, Klaipėda district). These chess are exceptional because there are just two their exemplars. One of them is exhibited in the Prussian museum in Germany.